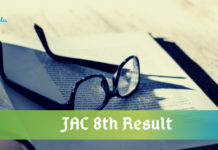 Karnataka Board SSLC Result 2019– Karnataka Secondary Education Examination Board (KSEEB) will declare the result of Karnataka 10th Exam 2019 in the first week of May. The SSLC results 2018 Karnataka is available on the official website, karresults.nic.in. Candidates will need their registration number check Karnataka SSLC result. The board examination is scheduled to be held from 21 March to 04 April 2019 in two sessions — the forenoon session, from 9.30 am to 12.30 pm and the afternoon session, from 2 pm to 5.15 pm. 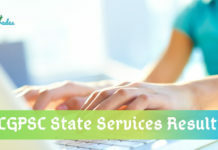 A direct link to check the Karnataka Board SSLC Result 2019 will be updated on this page, hence, keep checking the page for SSLC result 2019 karnataka online. Karnataka Board will announce the result date after conducting the examination. From the previous year’s trends, it is expected that the Karnataka SSLC 2019 Result will be announced in the first week of May 2019. In 2018, the KSEEB SSLC Result was announced on 7 May 2018 whereas the board examinations were conducted from 23 March to 06 April 2019. Every year, around 8.77 Lakh students appear in the Karnataka board exams. 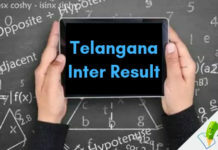 How to check Karnataka Board SSLC Results 2019? To check the Karnataka SSLC result online, candidates have to follow the below given instructions. Enter your SSLC Exam’s Roll number in the given space and Click “Submit” to view subject-wise marks. Now, take the print of the marksheet for future use. The result of Karnataka Board SSLC Examination will be updated on this page. Karnataka Secondary Education Examination Board (KSEEB) established in 1966, is located in Bangalore, India. The aim of the board is to supervise and regulate the Secondary Education System in the state of Karnataka. It governs several activities that include setting the exam pattern, syllabus and conducting examinations. The board also grants the affiliation to the schools of Karnataka state and develops the rules and regulations to control the education system in the affiliated schools. There are many private and government schools are affiliated under this board. Stay Connected With StudyGrades for Latest Updates on Karnataka Board SSLC Result 2019..! !